The Studio 54 Gala, An Outrageous Success! Thank you to all the wonderful sponsors, volunteers and guests who put on their disco best for the Studio 54 Gala at Salamander Resort & Spa on Nov. 10, 2018. The night was a smashing success with cocktails, dinner in the tent and dancing to the Right on Band all night long! 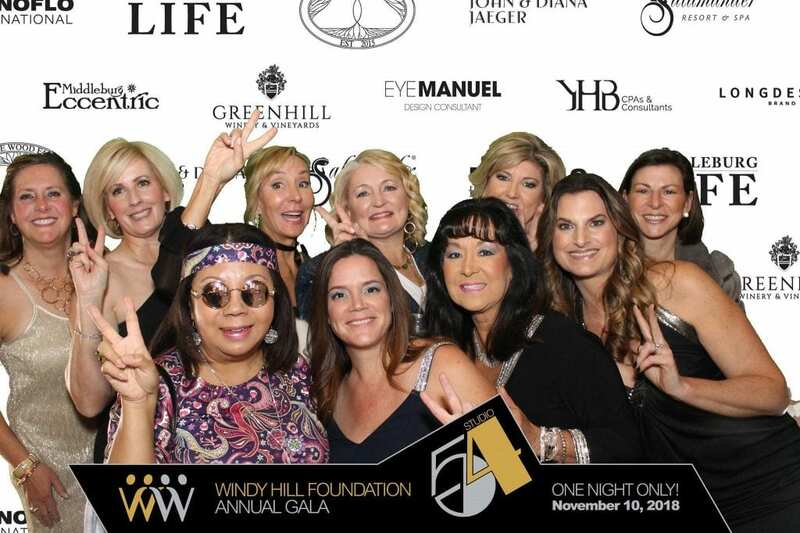 Lots of funds were raised for the programs and services at Windy Hill Foundation. We appreciate all the community support for our largest fundraiser of the year! Stay tuned for next year’s Gala!